Pôle Gallieni is located in the Galliani tertiary centre at Bagnolet, very close to the historic town centre of the commune, the enormous Parc des Guilands and the boundary of Paris. It is occupied by an office complex due to be demolished and is surrounded by apartment and office blocks – some of which are high-rise buildings (IGH). Bordered by the Porte de Bagnolet interchange connecting the A3 motorway with the Paris ring road -le Boulevard Périphérique-, its excellent transport facilities are boosted by a public transport hub less than 5 minutes walk away, connecting the RATP station (metro line 3 and buses) with the Eurolines coach station. 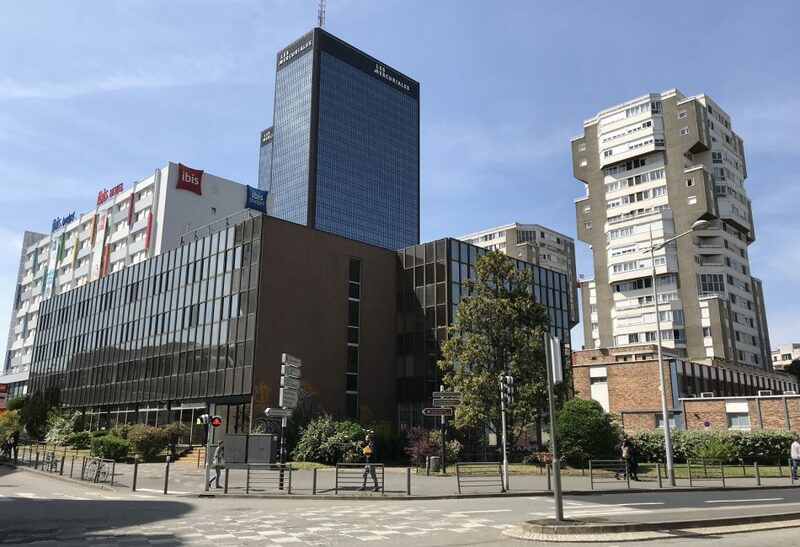 Its strategic position in a sector undergoing transformation, at the foot of the Mercuriale towers, the Bel Est shopping mall and near the Bas-Montreuil tertiary centre, strengthens its mission to accommodate a hybrid project with an economic bias.